Artiste manager and CEO of Ruff Town records, Ricky Nana Agyemang, popularly known as Bullet, has said the Ebony he knew, would have never left his record label, Ruff Town records. 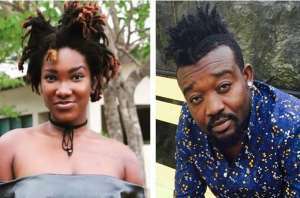 Speaking on “Behind the Fame with Lexis Bill” on “Drive Time” on Monday, Bullet explained that even though he and the artiste had their disagreements, it was nothing major for Ebony to leave Ruff Town Records as people thought. “The Ebony that I knew knows I did a lot for her and she will never do that,” he said. He stated artistes fall out with their management or groups mostly because the people around them convince them.